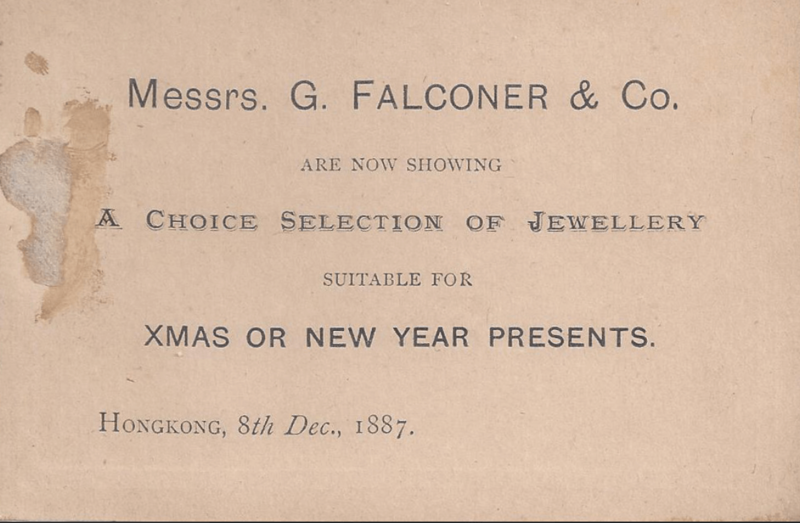 HF: G Falconer appear to have had a presence in Hong Kong since 1885, according to the company website, and currently have a shop in the Peninsula Hotel. 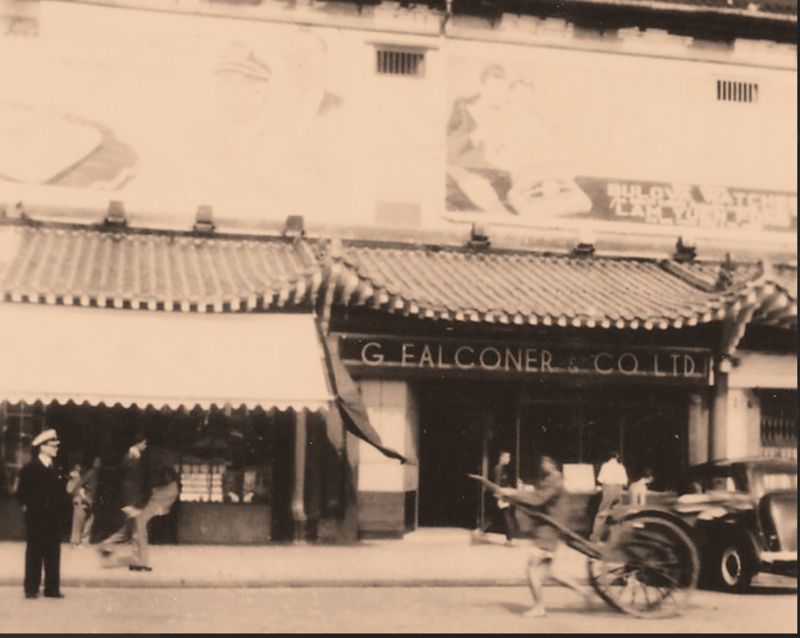 This article provides initial information about the Falconer and two of the British companies it was the Hong Kong agent for. 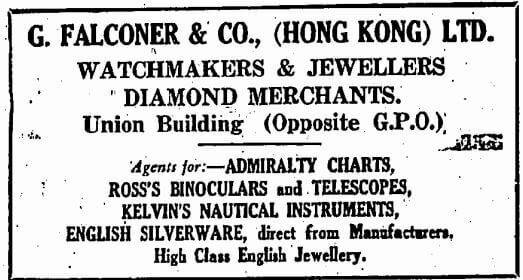 As the above says: G Falconer & Company (Hong Kong Limited, Watchmakers, Jewellers and Diamond Merchants, based in 1928 in the Union Building, opposite the General Post Office, were agents for: Admiralty Charts, Ross’s Binoculars and Telescopes, Kelvin’s Nautical Instruments and sold English Silverware and High Class English Jewellery. 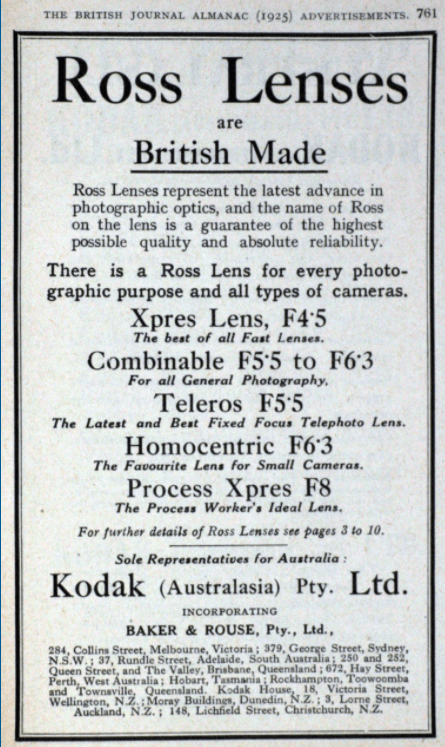 Ross was founded in 1830 by Andrew Ross in Wigmore Street, London and was based in Clapham, London. 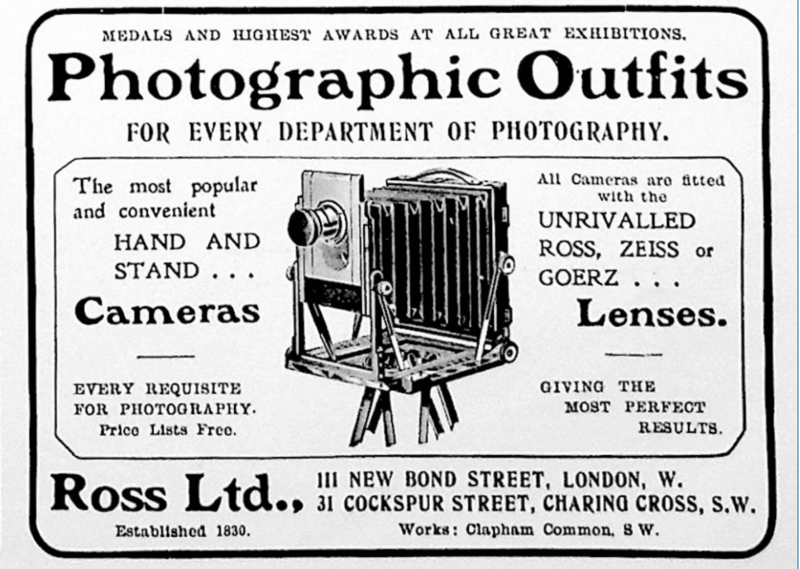 For further information about the company see the link below. 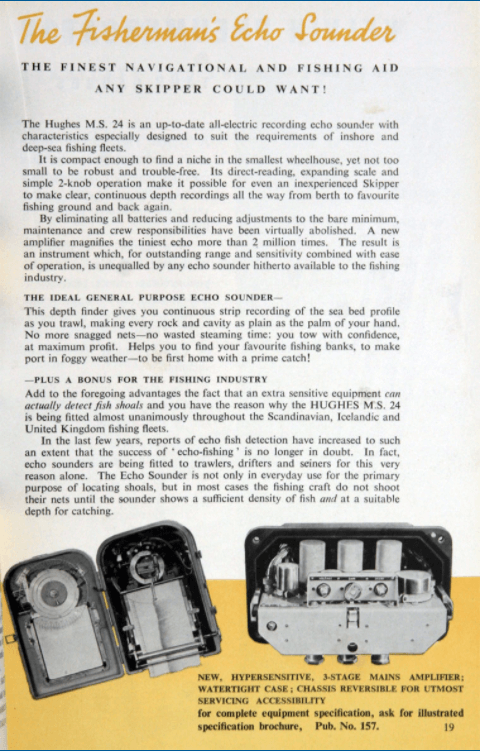 This article was first posted on 18th April 2018.